If you are looking to buy a car which is launched in the year 2015, and have a budget not more than 4 lakh rupees, the below list of cars might help you in choosing the right car. Tata Nano Twist was showcased at the 2014 Delhi Auto Expo event, Nano AMT (automated manual transmission) would be the very first product that Tata will launch in this financial year(2015). Tata Nano Twist AMT is undergoing testing process, and soon would feature 624cc MPFI naturally aspirated 2 cylinder engine that powers the regular Tata Nano. 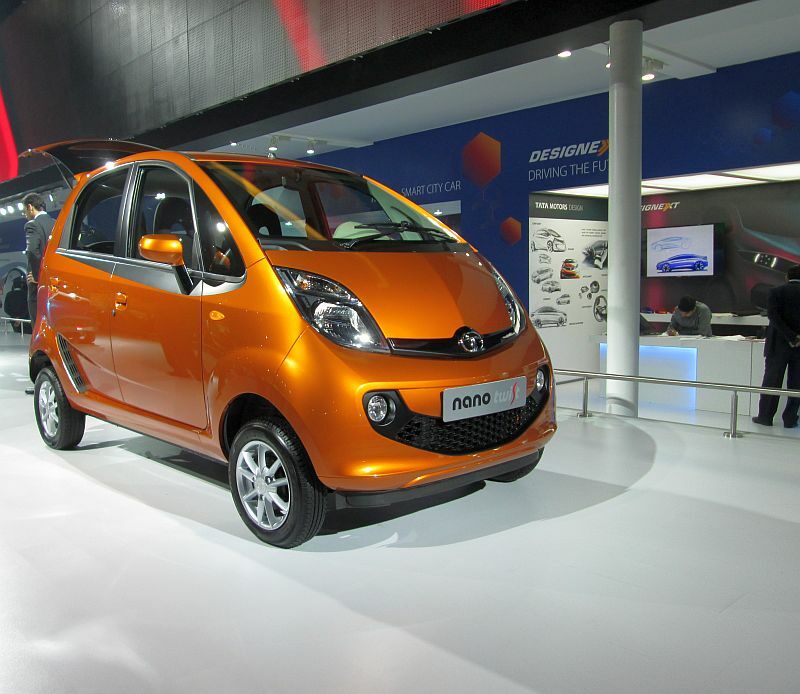 Tata Nano Twist AMT would also feature brand new bumpers, fog-lamps, and entirely different head-lamps. 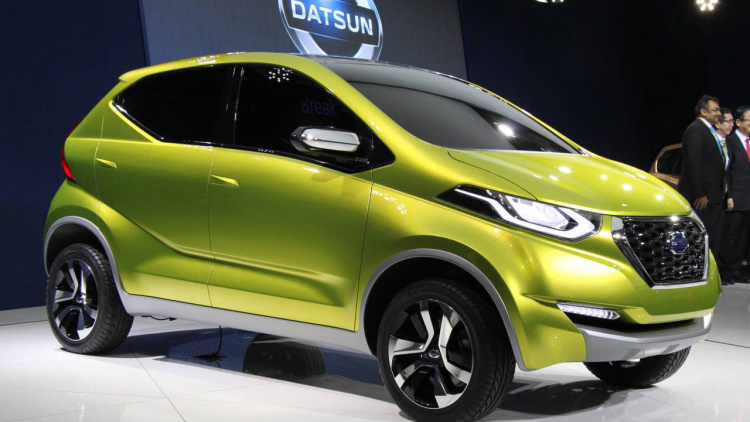 Datsun, the automotive company is now working on more cheaper hatchback to give a tough competition to Maruti Alto 800. The redi-GO-inspired hatchback will be built upon the CMF-A platform. 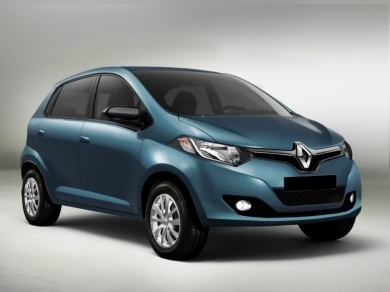 It has been told that the small hatch will be launched with only petrol and LPG options. In the year 2015 Renault would launch new range of products that includes a compact MPV ( Multipurpose vehicle), an entry level hatchback and also a sub-compact SUV. Renault Lodgy would arrive first followed by the small hatchback. This hatchback which is code-named XBA, will be based on the CMF. 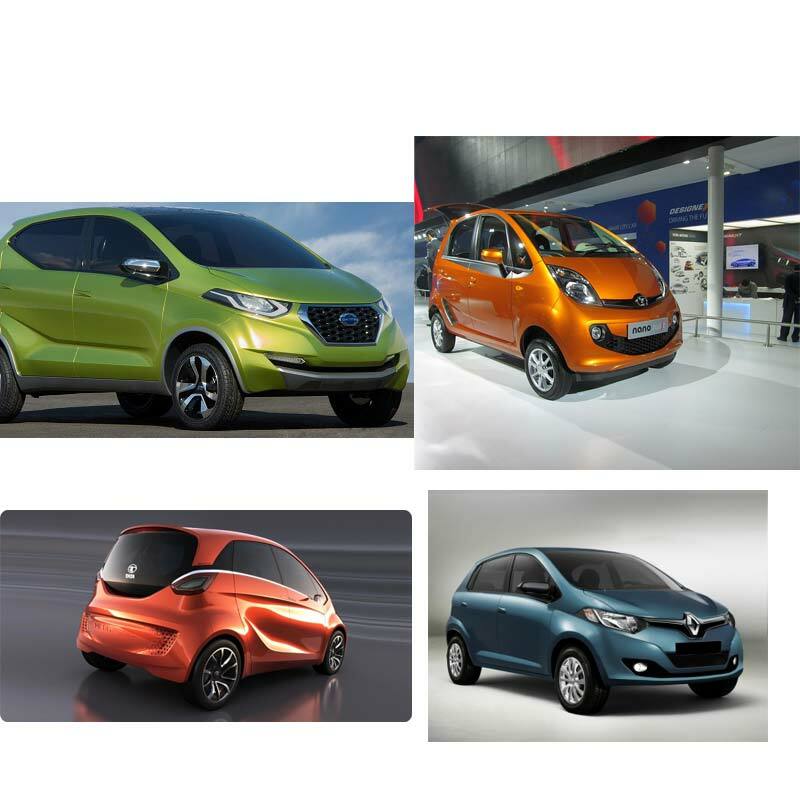 Competitors of XBA is going to be other fuel efficient cars like Maruti Suzuki Alto 800, Hyundai Eon and Datsun Go. Tata Motors is working on yet another car in the affordable hatchback segment which is currently named as “Pelican”, to take on potential competitors like Maruti Alto K10, Hyundai Eon. According to the reports, Tata Motors is working on a 1000cc petrol engine and a 800cc diesel engine.